This cozy retreat tucked away amid the dramatic Rocky Mountains gives you easy access to the region's famed skiing trails and boundless recreation, as well as ample historic and cultural attractions. 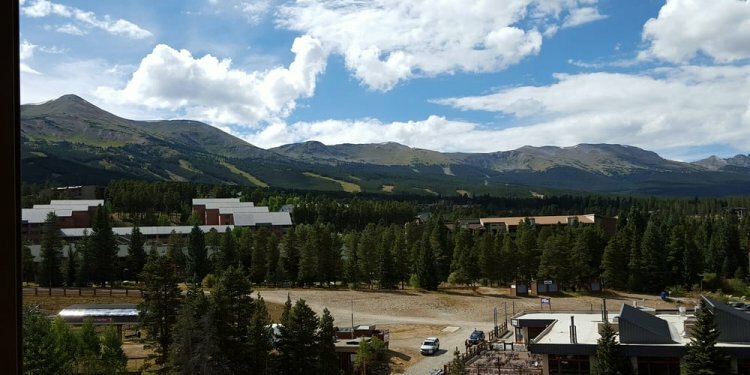 You’ll be in the heart of the region at Marriott's Mountain Valley Lodge, with convenient access to powdery slopes, rugged trails and the charms of downtown Breckenridge. Whether you're seeking adventure or relaxation, thrills or inspiration, you'll find it here. You'll also enjoy an array of amenities at Marriott's Mountain Valley Lodge, including a heated swimming pool. Discover an ideal getaway in the captivating Colorado wilderness. Eligibility: This offer is for residents of the United States including the District of Columbia, but excluding DE. Offer allows purchaser to apply the amount paid in Marriott Vacation Club property room rentals (less room tax and incidentals) as a discount to the purchase price of a deeded real estate interest in the Marriott Vacation Club Destinations ownership program. Limited to 10% of the contract purchase price. Purchaser must call, initiate, sign and return contract to Marriott Vacation Club, Central Sales Distribution, 6649 Westwood Boulevard, Suite 500, Orlando, Florida 32821, no later than 30-days from check out at a Marriott Vacation Club property, in order to apply the amount paid in room rentals (less room tax and incidentals) to the purchase price.